"It was through the Blessed Virgin Mary that Jesus came into the world, and it is also through her that he must reign in the world." 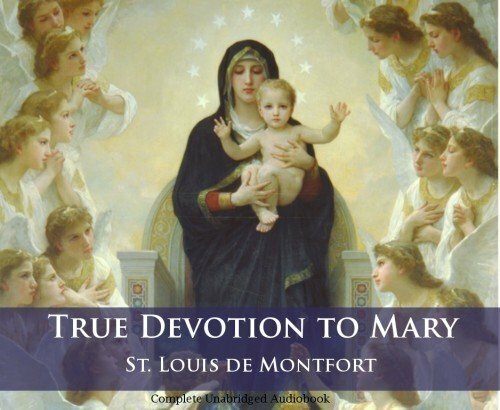 With these words St. Louis de Montfort introduces the greatest single book on Mary ever written. This classic shows the way to Jesus through Mary, leading one to a greater union with Our Lord. This short masterpiece invites the listener to truly imitate Christ and love His Mother as He did. It sums up the entire Christian life and provides the key both to sanctity and to salvation. St. Louis de Montfort prophesied that True Devotion to Mary would be the way of life of the great Saints of the latter times. This devotion is destined to change the world! 3 CDs. Running time: 3 hours, 40 minutes.